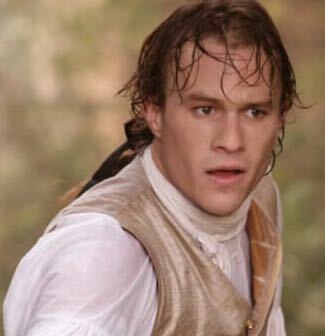 CANNES – The first big question about Terry Gilliam’s “The Imaginarium of Doctor Parnassus” involves how the filmmaker managed to complete the film when his star Heath Ledger (below) died in the middle of shooting. The answer is with great imagination and skill. The second big question is whether Gilliam has produced something to rank with his great fantasies “Time Bandits” and “Brazil,” and the answer is sadly no. A carnival show with a mirror to the imagination allows Gilliam to employ his remarkable gift for imagery, but the worlds he creates will not take the breath away of children or grown-ups. The combined star power involved will generate a plentiful boxoffice return, but the film is neither intelligent enough nor silly or grotesque enough to become a lasting favorite. Filled with phantasmagorical images with the occasional echo of “Monty Python’s Flying Circus,” the picture involves a classic duel between the forces of imagination, led by Dr. Parnassus (Christopher Plummer), and the architect of fear and ignorance, known here as Mr. Nick (Tom Waits, pictured with Plummer). Andrew Garfield and Lily Cole provide youthful love interest, and Ledger is again the joker in the pack as a stranger who is not what he seems. The setting is a horse-drawn carnival sideshow in modern London, an attraction in which Dr. Parnassus, who claims to be immortal, invites ticket buyers to enter a world of their own imagination by stepping through a large mirror. Once beyond it, faces change and fates vary, which is how Gilliam gets away with having Johnny Depp, Jude Law and Colin Farrell step into the Ledger role. Ledger makes his entrance as a man being hanged from London’s Blackfriar’s Bridge with his arms tied at his back. Saved and named George by the members of Dr. Parnassus’ troupe, he claims to remember nothing and joins the players. The doctor and Mr. Nick have a lifelong wager in which the soul of Dr. P’s daughter (Cole) is the prize, and he suspects the devil has placed George there to make trouble. The rest of the film involves various plunges into the mirror’s vast wonderland, with George changing physiognomy along the way. The visual effects are colorful and entertaining without ever becoming a coherent force. The score by Mychael Danna and Jeff Danna has the required flair and sweep. Plummer and Waits are the twin rocks of the film, and they enter the spirit of playfulness with typical skill. Garfield continues to expand his considerable range, and model Cole makes a pretty picture. The three stars that came to Gilliam’s rescue also make amusing contributions, but it’s hard not to wonder how much better the film would have been with a complete performance by the charismatic, adventurous Ledger. The film is dedicated to Ledger and producer William Vince, who died after filming was completed. Venue: Festival de Cannes, Out of Competition; Cast: Heath Ledger, Johnny Depp, Jude Law, Colin Farrell, Andrew Garfield, Christopher Plummer, Tom Waits, Lily Cole, Verne Troyer; Director, producer: Terry Gilliam; Screenwriters: Terry Gilliam, Charles McKeown; Director of photography: Nicola Pecorini; Production designer: Anastasia Masaro; Music: Mychael Danna, Jeff Danna; Costume designer: Monique Prudhomme; Editor: Mick Audsley; Producers: William Vince, Amy Gilliam, Samuel Hadida; Executive Producers: Dave Valleau, Victor Hadida; Production: Infinity Features Entertainment, Poo Poo Pictures, Davis Films; Sales: Mandate International; Not rated; running time, 122 minutes. 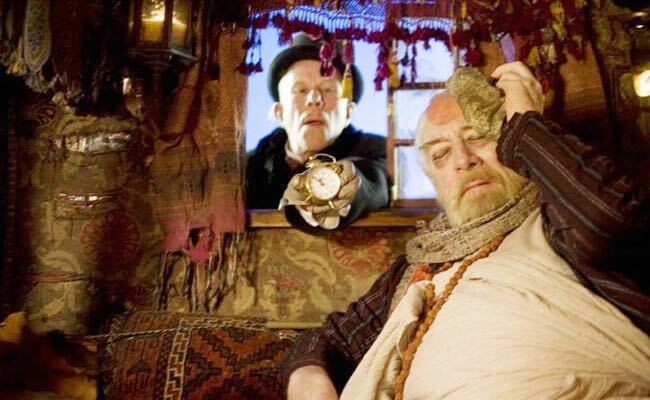 This entry was posted in Festival de Cannes, Film, Reviews and tagged 'The Imaginarium of Doctor Parnassus', Christopher Plummer, Colin Farrell, Festival de Cannes, Heath Ledger, Johnny Depp, Jude Law, Terry Gilliam. Bookmark the permalink.